The Peoples Democratic Party (PDP) has faulted President Muhammadu Buhari over his comments about Nigerians making attempt to enter Europe illegally through the desert and the Mediterranean. In a statement on Saturday by its National Publicity Secretary, Mr Kola Ologbondiyan, the party asked the President to solve the problem rather than making such comments. 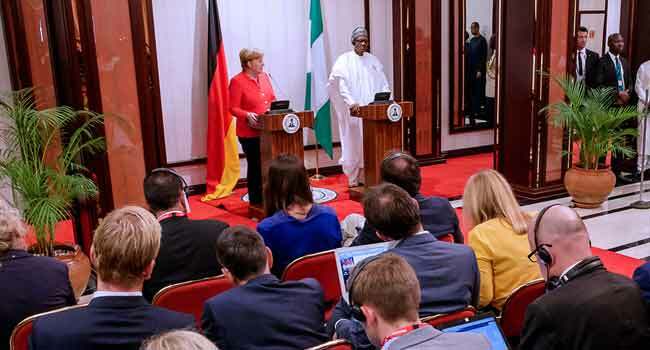 “The Peoples Democratic Party (PDP) says President Muhammadu Buhari’s statement to German Chancellor, Angela Merkel, that Nigerians caught up in their attempt to illegally enter Europe, are on their own, further exposes him as an insensitive leader, who cares less about the plights of his compatriots,” the statement said. 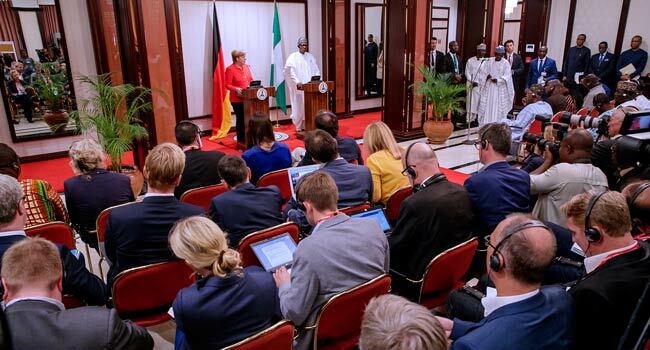 On Friday, President Buhari told the German Chancellor during her visit to Nigeria that his administration does not support anything illegal. The PDP condemned the statement and decried the attacks on Nigerians living abroad, including those with legitimate documents and engaged in lawful activities. It claimed that it was the failure of the present administration that prompted citizens of the country to embark on such a perilous journey in search of greener pastures. “Is it not disturbing to Mr President that reports by Nigerian Immigration Services showed that many more Nigerians have been trapped in detention and slave camps in various parts of the world?” the party question. It, however, said it was the duty of the President, as an elected leader of government, to pursue the fundamental human rights of his citizens. The PDP also asked the President to find a solution to the problems purportedly pushing Nigerians to resort to illegal migration as an option for survival, irrespective of the huge risks involved. It accused the All Progressives Congress (APC) led Federal Government of worsening the nation’s economy, stressing that Nigerians would not be seeking for greener pastures in other lands if that was not the case. “It has, therefore, become clearer that there is no way our nation can survive another four years under a leadership such as the Buhari-led APC administration, hence the determination by Nigerians to rally on the platform of the repositioned PDP to throw up a competent President to effectively pilot the affairs of our nation, come 2019,” the opposition party said.